Observations: Do most journalists really subscribe to this? 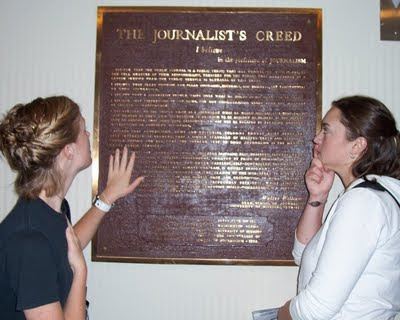 The first dean of the Missouri School of Journalism, Walter Williams, created the Journalist's Creed approximately 100 years ago. Clearly, it sets a high standard for those who are trusted with the solemn duty to fully and adequately inform us. How many of today’s journalists do you think rise to this standard?